“Rough seas” are a potent visual trope that reappears across film history, resonating with aesthetic and ecological significance. A popular cinematic image since Rough Sea at Dover captivated audiences in 1896, today this pictorial device has been remade in films depicting global warming and rising sea levels. This talk presents an archaeology of “rough seas” as a cinematic topos in which a powerful nature clashes with a frail humanity. I shall focus primarily on a set of important but not well-known examples from the silent era, including some early nonfiction films, D. W. Griffith’s The Sands of Dee (1912), and J. Stuart Blackton’s Tides of Passion (1925), but will also touch upon later films including Portrait of Jennie (William Dieterle, 1948). 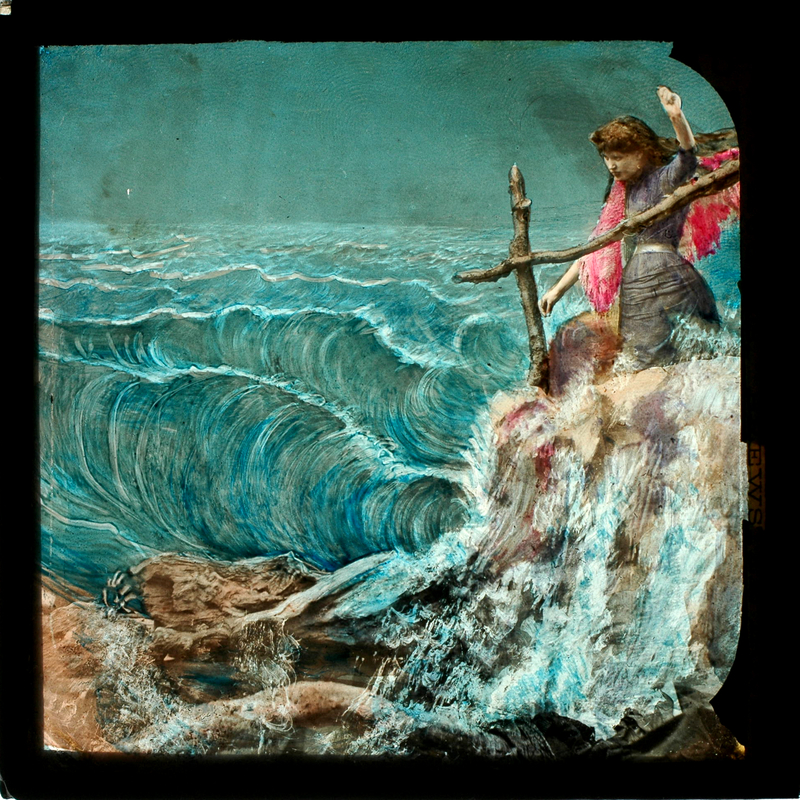 Female figures such as mermaids and ondines populate these seascapes, rendering nature’s terrifying power feminine and sexualized (effects heightened by the use of applied color tinting, toning, and stencil coloring). While retaining elements of the sublime, the rough seas of silent cinema remediate Romantic aesthetics in the context of early twentieth century seaside tourism. In granting presence and agency to a natural setting, rough seas constitute an early environmentally oriented cinematic topos. Jennifer Peterson is the author of Education in the School of Dreams: Travelogues and Early Nonfiction Film (Duke University Press, 2013). Her articles have been published in Cinema Journal, Camera Obscura, The Moving Image, the Getty Research Journal, and numerous edited collections. Having previously taught in the Film Studies Program at the University of Colorado Boulder for over a decade, where she earned tenure in 2013, she is currently Associate Professor and Chair of the Department of Communication at Woodbury University in Los Angeles. Her new book project focuses on nature and landscape in American film history before 1960. Image caption: A Ballad of the Sea. (Bamforth & Co., 1892). Lantern slide. Illuminago Collection – reproduced by permission. Digital image © 2006 Ludwig Vogl-Bienek / Media Studies, Universität Trier. Lucerna Magic Lantern Web Resource.